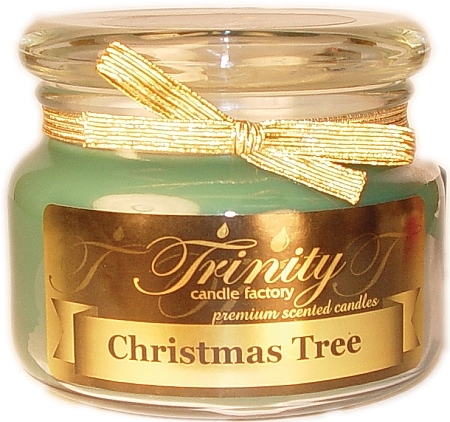 Trinity Candle Factory Premium Scented Christmas Tree - Traditional - Soy Jar Candle - 12 oz. This Traditional style jar candle comes in all fragrances, premium scented for maximum fragrance throw. With a 80-90 hour burn time, cotton wick and premium scent. This Christmas Tree Candle candle You will smell the distinct aroma of Fraser Fir Pine. 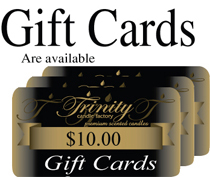 A must for the holidays. Very Strong! 100% Satisfaction Guarantee. Awesome! Smells just like a Christmas Tree!